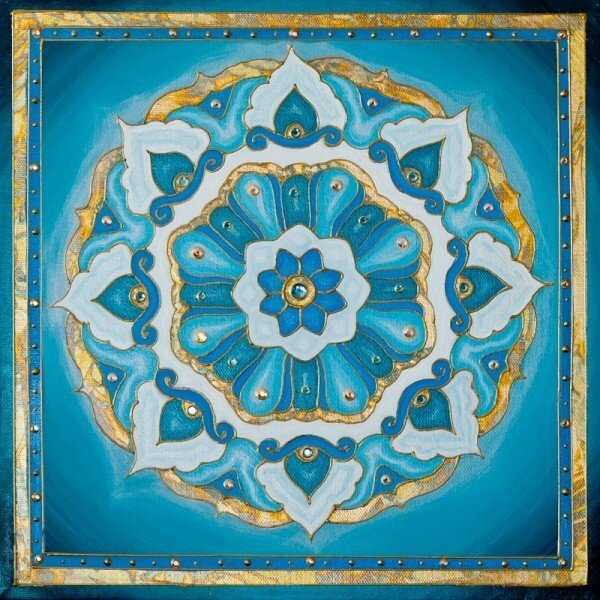 Cynthia’s Dream | Artwork – Store – Tammi B. Ph.D.
Hand painted mandala 12" x 12" acrylic, mixed medium, gold leafing and crystals. Created to celebrate the marriage of one of my very best friends and her amazing man. I would be happy to recreate this for you with any changes you would like.